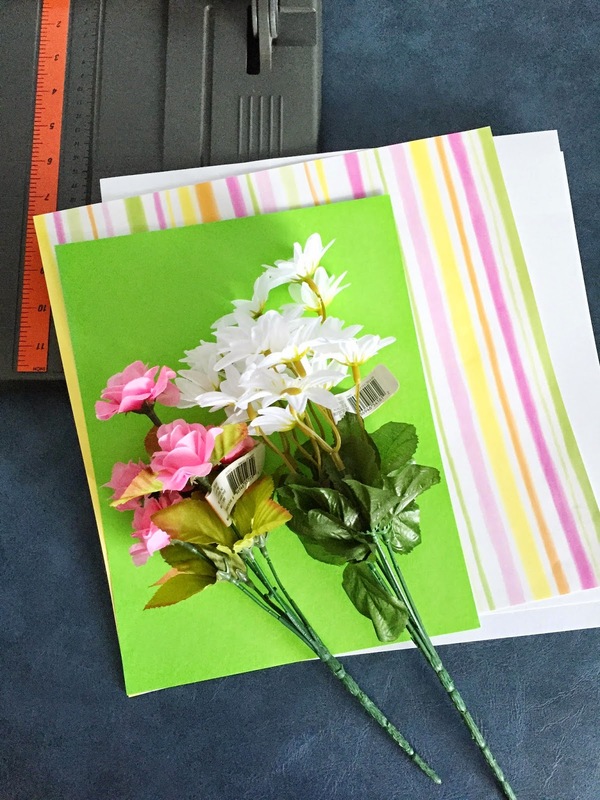 Today I am back with a really fun and easy spring decor project! Some of you might remember I did a Valentine's Day themed wall decor post a few months back, so I thought it was time to switch it up and change it to something more spring appropriate. 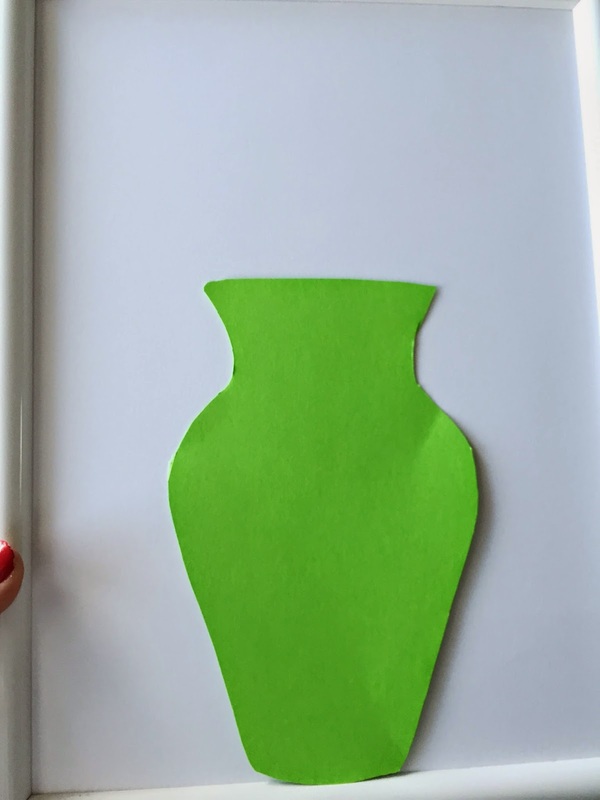 First you will want to print out a vase from online to trace. 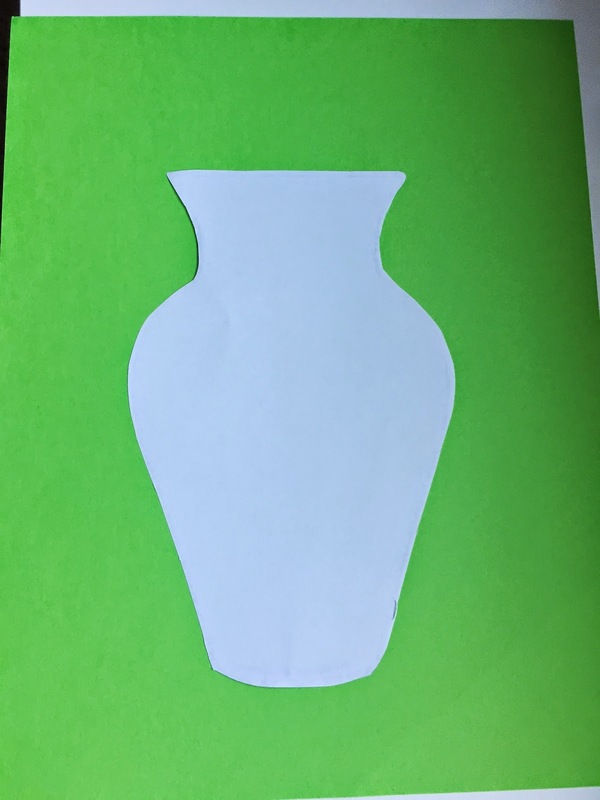 I just googled vase template and dozens came up to choose from. You can just freehand this, but I wanted to make sure mine looked good and I didn't trust myself to just draw it! 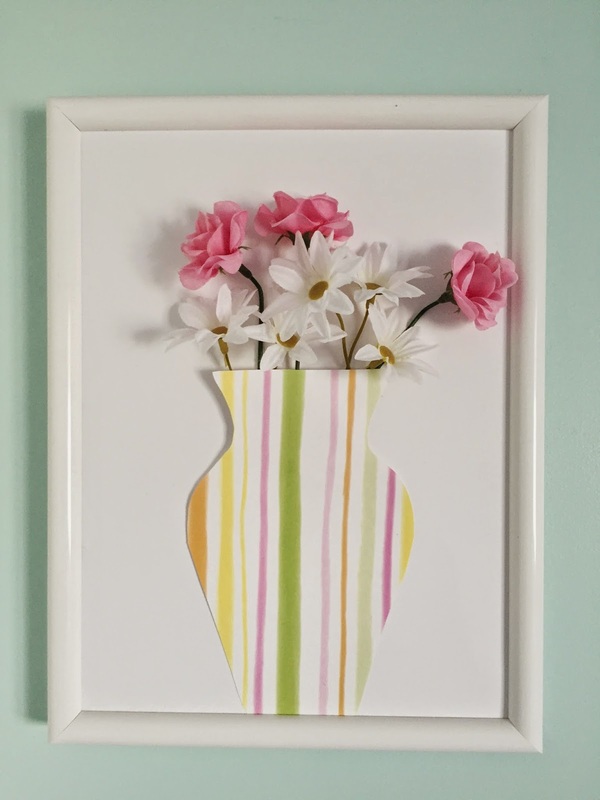 Now you will want to trace the vase onto your scrapbook paper and cut it out. I chose to do a solid green and a striped one. 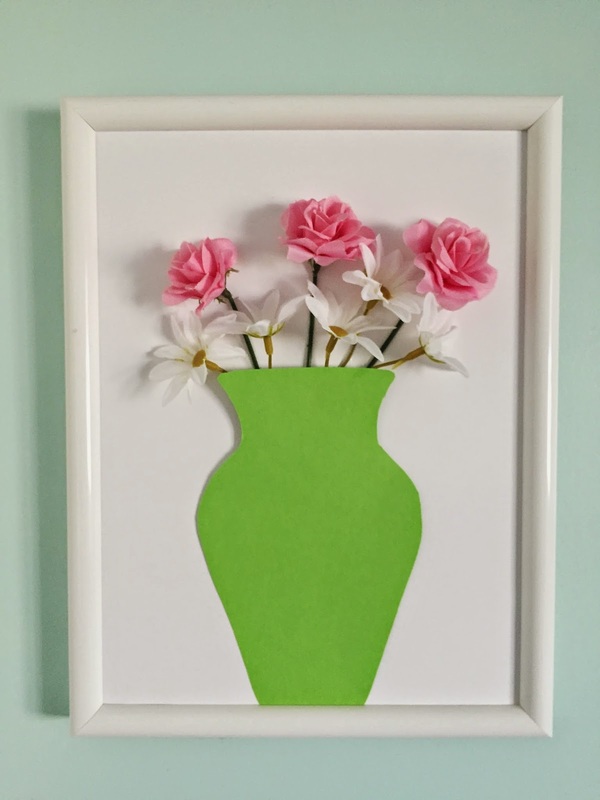 Glue your vases to a piece of white cardstock. Then stick the white paper into the front of your frame, in front of the glass instead of putting it behind like normal. Next, glue the bottom part of your vase down. Then begin arranging your flowers at the top. I recommend beginning with the longer one then filling in with the shorter flowers to fill in any gaps near the vase. I arranged all of them before I glued any down, but you can also just glue as you go. This is the finished look! 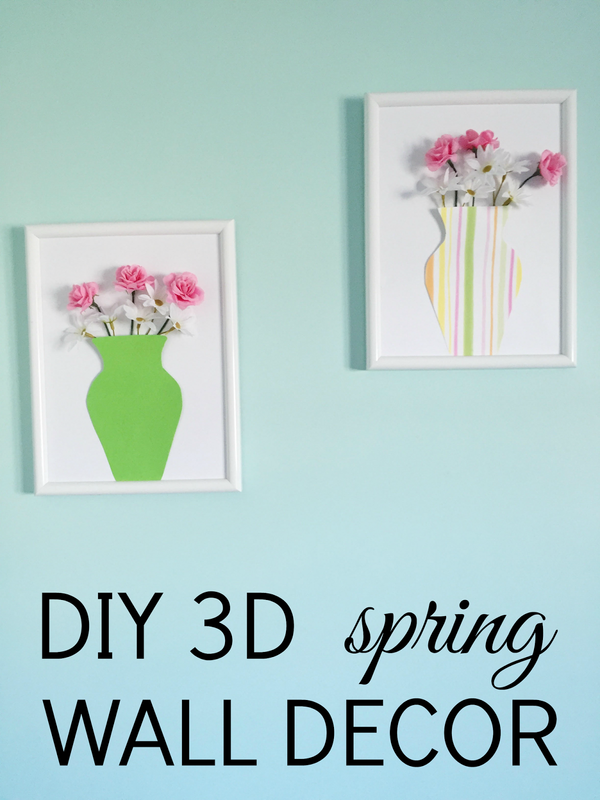 It brightens up whatever wall you put it on, and it takes less than 30 minutes to make. What a cute and easy DIY! This is a perfect alternative for me since I can't see to keep any plant alive.